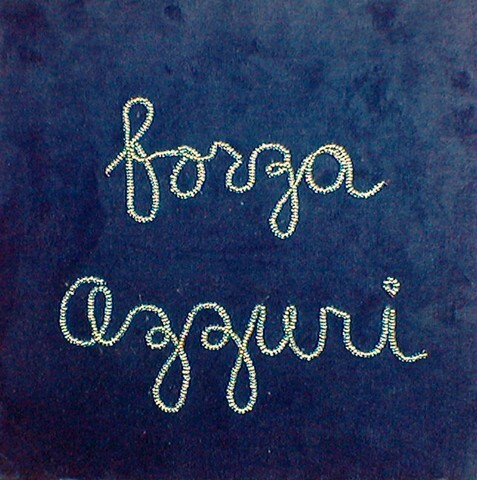 Football Chants Series (Forza Azzuri), beaded texts on velvet, 2006. Galerie-33, Berlin. Published June 7, 2013 at 477 × 480 in Bead Works ~ Football Chants.